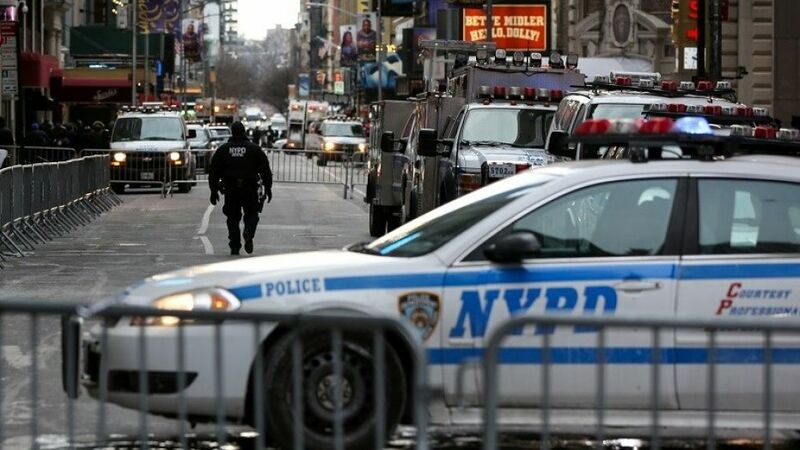 New York Police Department (NYPD) officers secure Times Square ahead of New Year’s Eve celebrations, Dec. 31, 2017. Some cases date to 2012, when a high school girl – identified as “G.E.” – was arrested after a brawl with two other girls whom she though spread gossip about her. Police issued an order in March 2015, according to court filings, changing the policies regarding people who refusing to take off their religious head coverings. Officers who perform the arrest had to tell the person that the NYPD offers a choice of getting a private photo – without the head garb and with an officer of the same gender.